PLDT Smart SME Nation’s annual business convention for micro, small and medium enterprises (MSMEs) is back, this time to help Filipino MSMEs discover uncharted terrains in the ever changing digital landscape. Now on its third year, TechIsland aims to educate, enable and empower MSMEs to solve real life business challenges through technology. In the past years, the forum focused on introducing MSMEs to ICT solutions for business. 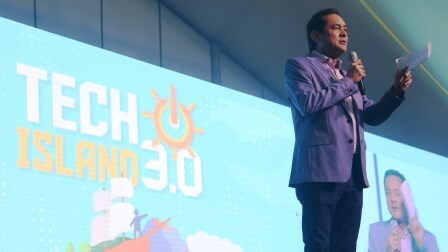 According to VP and PLDT Smart SME Nation Head Mitch Locsin, TechIsland 3.0 is about “conquering new territories and markets in today’s dynamic business by harnessing digital tools and platforms. This year’s theme for TechIsland is a story of overcoming challenges, embracing change and conquering opportunities. PLDT EVP, Head of EICB and ePLDT CEO Eric R. Alberto led the highly esteemed group of speakers as he shared insights based on his experience in guiding the PLDT Group’s Enterprise and International activities, both fixed and wireless businesses, to an annual revenue turnover accountability of over 65 billion pesos. Formally opening the event, Alberto welcomed game changers in the field of IT as well as innovators in the fields of marketing, finance and operations, among others. DENTSU Jayme Syfu’s ‘chairmom’ and chief executive, and one of Philippine advertising industry’s most renowned practitioners, Merlee Jayme, discussed digital marketing trends and how successful companies have adapted to the modern digital landscape. Meanwhile, PLDT Chief Strategy Officer Winston Damarillo shared strategies on how businesses can go digital through specifically-designed business solutions for MSMEs. 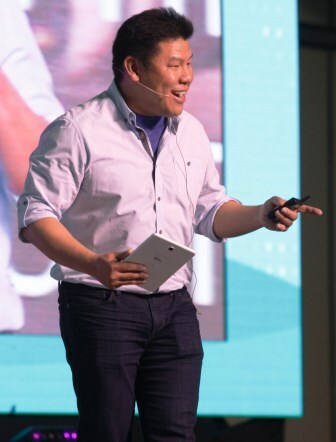 For his part, Laurence Cua, general manager of Uber Manila, enlightened the audience on real-life application of digital technology. Completing the roster is special guest speaker Alfredo Tan, who is Facebook Canada Group Director of Global Marketing Solutions and Facebook Philippines Interim Country Director. He tackled digital exploration and how Facebook has evolved to serve the business community. 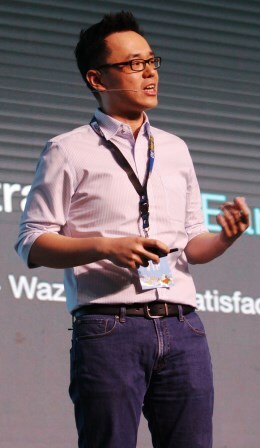 He also talked about digital trends that can help businesses jumpstart their digital journey. The breakout sessions in the afternoon were divided into four categories designed to target specific segments of an organization—the CEOs and owners (The Captain); sales and marketing (The Navigator); finance and procurement (The Trader); and operation and IT (The Engineer). The Captain focused on global expansion through digital while The Navigator highlighted digital trends and market activations. Delegates attending The Trader learned about streamlining systems, while those in The Engineer were in for an afternoon of learning about software security. All sessions were powered by innovative digital business solutions from PLDT Smart SME Nation which delegates learned more about as they go along. Held at the Harbour Tent of Sofitel Philippine Plaza Manila, the highly anticipated business-to-business ICT forum drew in over a thousand participants including industry leaders, multinational organizations, start-ups and MSMEs from various industries. Unlike in previous years where participation was limited to IT practitioners, this year’s TechIsland 3.0 was open to more people including professionals in the fields of marketing, sales, engineering, finance and procurement. This year is also historic in TechIsland history because, for the first time, slots were opened to the general public on a first-come-first-served basis. Sizzling Coco Martin on the Cover of L Magazine!